By far our most popular brand of recessed lighting, Juno Lighting Group specializes in residential recessed lighting. They offer an exceptional variety of high quality products, whether you are building a spec home or a custom designed home, Juno Lighting group has recessed lighting to fit your needs. 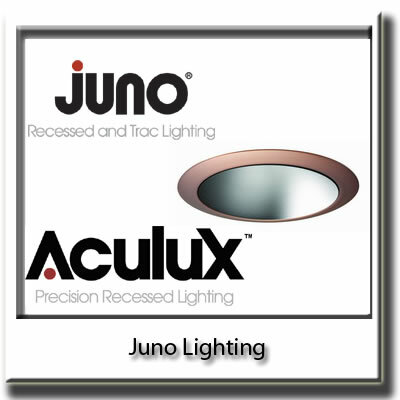 From economical 6" housings to high-end Aculux recessed lighting, Juno has the perfect platform and trim for your home. Please click on the picture above to visit our Juno page to access specific part information and pricing for Juno recessed products. One word has been used to describe Iris by Halo: luxury. 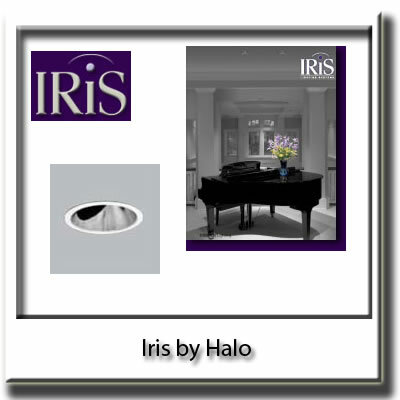 Iris by Halo, is Cooper Lighting's ultra high-end residential recessed lighting line. Designed with the most discerning homeowner in mind, Iris platforms and trims embody perfection in performance. Click on the picture above to visit our Iris Lighting page for specific product information and pricing. Copyright © 2009 by SESCO Electric Supply Co. Inc.